FULL RECORD LOGBOOK FOR FACILITIES THAT SUPPLY MIXED GASES. 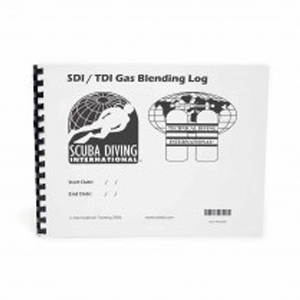 The SDI-TDI Gas Blending Logbook gives the respective facility an area to record various tank filling information, including; Blend date, customer name, certification agency, tank size, and MOD. Also included with the Logbook is a Maximum Operating Depth chart with partial pressures.